Beau Willimon very kindly agreed to answer your questions. So with many thanks to our readers for sending them in, please find below his (declassified) responses. Read on to find out why Underwood couldn’t have been a Republican, how comedy plays into House of Cards, and what Frank advice might look like. Ryan Merola: How did you decide that making Underwood a Blue Dog Democrat from South Carolina would be both a fair analogy to the original British villain-protagonist as well as a good avenue for making your House of Cards something distinct from the original? Beau Willimon: Three reasons: 1) Blue Dog Democrats tend to build political support based on relationships rather than ideology. They have to be more flexible in order to appeal to a wider range of constituents. That seemed more in line with Frank’s approach to politics. 2) There’s a prevailing notion that Hollywood is liberal. If I made Frank a Republican, then folks might think we were trying to take pot-shots at conservatives. I didn’t want the story to be burdened by that. 3) The British Francis (Urquhart) came from aristocratic privilege. I wanted our Francis to have an opposite background — to come from a small, rural town — and play into the American mythology that anyone can grow up to be President despite their origins. Cory Kibler: There are only a few moments in the entire series of blatant silliness/comedy. How hard is it to manage that balance? How many great jokes get left on the cutting room floor because they don’t match the tone of the show? BW: House of Cards is a drama, but yes, we do try to find humor in the story wherever we can. It’s important to have lightness in order to put the darkness in relief. We don’t try to write “jokes” per se. We try to find the comedic moments that stem from real human behavior. Of course Frank does have a natural wit and cleverness in the way he talks, so sometimes a wry comment will pop up in his direct addresses, but that’s not so much our attempt to be funny as it is staying true to his way of talking. When we tell stories like the Peachoid episode, or see Claire playing beer pong, ultimately,​ we’re just trying to show how varied our characters’ experiences can be. Life is often funny and silly, and if we didn’t tap into those moments, we wouldn’t be dramatizing the full picture. Jessie Munton: To what extent did the show evolve as a study of character versus being plot driven? I wonder that especially about Claire and Francis’s relationship: how much room was there for its development to respond to the actors’ development of their characters over the course of the show? BW: I believe all plot is the product of character. Plot occurs when characters are striving to fulfill their deepest needs (things like love, power, respect, independence, etc). The action of the story is the behavior that results from that striving and the ways in which the needs of different characters conflict with one another. These are the sorts of things I discuss with Kevin and Robin all the time. We’re constantly discussing the emotional journeys of the characters, and I rely on their input to add greater depth to the story. After all, they actually have to inhabit these characters — ​to bring them to life — so they have insights that I couldn’t possibly have. That collaboration is one of the best parts of my job. It makes me a better writer and results in a richer story. Carole Dunn: In the original British series, the king was made to abdicate. Since the US does not have a monarch, did you decide to tell the story of Claire’s thirst for power in order to fill in that gap, because the British version did not go into the wife’s story at all? BW: We don’t really use the British version as a template for our story. There are a few plot-points from the first season of the BBC version that we stole​, and we certainly stole some character archetypes. But mostly​, we’re on our own path. As for Claire — that wasn’t in response to having no monarch. I wanted to make Claire a major character because I thought it would result in a better story — focusing on the complex bond between these two people rather than just the ambitions of Frank alone. ​That necessitated making Claire a co-protagonist, exploring the character of the wife in much greater detail than the BBC version. House of SpeakEasy: it was just announced that you would be giving the commencement address at Columbia University’s School of the Arts graduation this year. What advice would Frank Underwood give in a commencement speech? BW: The advice he would give might be a lot different than the advice I’d give! But one thing we can both agree on is the importance of taking risks. Without risks, nothing is truly ventured or discovered. It’s the risk-taker who believes that the impossible might very well be possible. It’s the risk-taker who thinks outside the box. It’s the risk-taker who treads where none have tread before. And while this means confronting defeat and failure more often than those who take a safer path, the rewards for risks that pay off vault you far beyond those who are governed by timidity. 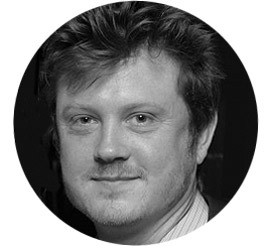 Beau Willimon will appear in our next Seriously Entertaining show, One Simple Rule, on April 21 at City Winery NYC. Buy tickets here.